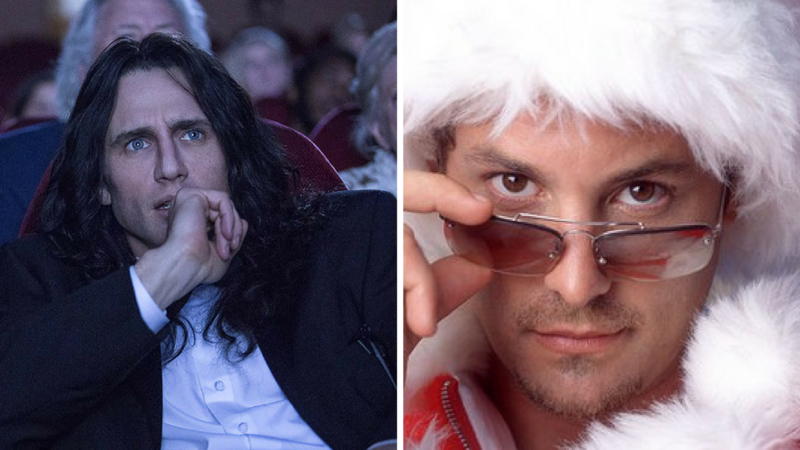 Episode 296 - The Disaster Artist & Santa Jr. This week on our show, Dan and Greg sit in a room and watch The Disaster Artist; based on the book of the same name documenting the true story of midnight cult hit The Room, James Franco directs and stars alongside his brother, and a bevvy of notable comedic actors. How is it? We’ve got your answer! Meanwhile, Casey gets a visit from Santa Jr.! What’s the family business like when it’s located at the North Pole? Pretty mediocre, to be honest. Finally, we discuss Theory’s album, Wake Up Call – it’s something alright. All this, plus we discuss the news of Quentin Tarantino maybe doing a Star Trek film, the potential of a Baby Driver sequel, some Christmas movie reviews with Turbulence. Office Christmas Party and The Cutting Edge, plus we get stormy with Geostorm and circle-back on Valerian.